Neurofeedback training is a type of biofeedback. It is a therapy where you are taught to listen to signals from your own body (the amount of oxygen-rich blood that is delivered to areas of the brain), then react on this information and learn to control it. Biofeedback may be used to improve health and performance, and the physiological changes often occur in conjunction with changes to thoughts, emotions and behaviour. Eventually these changes can be maintained without the use of extra equipment. At The Health Hub we use Brain Gain’s near-infrared spectroscopy neurofeedback to train people to increase blood flow to the prefrontal areas of the brain. 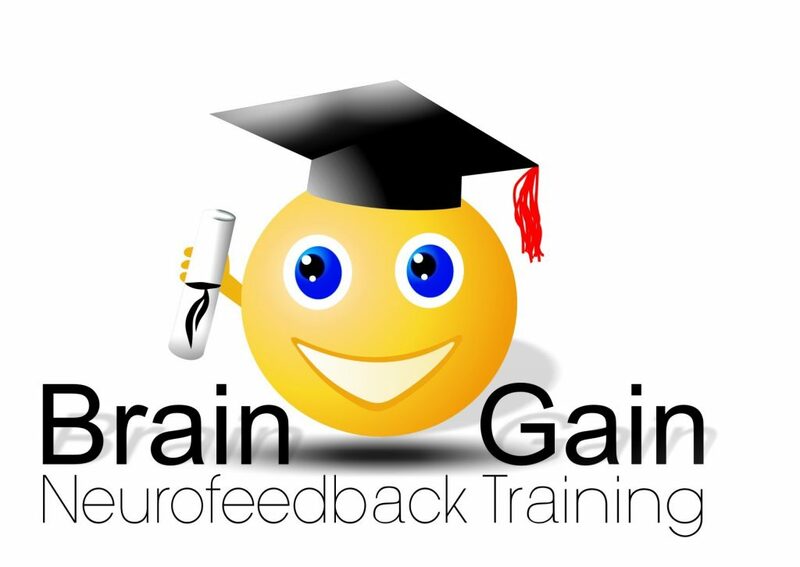 Brain Gain Neurofeedback Therapy gives instant feedback on the quality and consistency of focused attention on a task. By training the brain, much as you might train your body in physical exercise, we can help your brain be more flexible, learn, and function better intellectually and emotionally. because it needs more energy. This increased need for oxygen is met by more oxygen-rich blood being carried to that part of the brain. Improved blood flow assists in developing healthier neural functioning. Blood brings needed nutrients and removes toxins so adequate blood flow is required for brain growth and repair. • respond appropriately to the demands of a specific situation. What does a Neurofeedback training look like? TESCA (Test for Emotional Stability and Cognitive Ability) is the test which is used as a measurement tool before starting Brain Gain Neurofeedback Training. This is used to measure an individual’s cognitive abilities and is used to make comparisons to see where we started and where we ended. • Response feedback time – measurement of the time that it takes an individual to see information, to process it and to react to it. The evaluation is done by the completion of an emotional stability questionnaire and a computerised visual continuous performance test for the evaluation of attention and impulsivity in children and adults. The client has a small clicking device in their hand and they react to information that appears on the screen. The test results are sent electronically for evaluation. Neurofeedback training course of 15, 24, or 48 sessions can be provided based on the results from the TESCA test. After completing a course of training, clients are re-tested on the TESCA to evaluate their response to the training. How does one do Neurofeedback training? A person learns to control their attention with the help of a computer that shows them a DVD film. The film and sounds play when they pay close attention, and stops when their attention decreases below a certain level. By doing this, they learn to control the film and their attention. The goal is to make the film play for longer periods of time and this is a gradual learning process. This is the essence of neurofeedback training. During the training sessions a headband is worn on the forehead and this collects the brain blood flow neurofeedback information. It is little wonder that with all the “noise” going on in the environment, the prevalence of learning, behavioural and social-related issues is on the incline. ADHD affects around 10% of learners. Another infographic published by Assisted Living Today cites that attention spans have dropped from 12 minutes to just 5 minutes in the last 10 years… Keeping in mind that the average classroom period is no less than about 20 minutes. The pandemic Attention Disorder diagnosis and hand-in-hand stimulant drug prescription has spurred much controversy and stimulated much research. One area of considerable interest is a study which came out of the Oregon State University. It found that the skills most likely to lead to school achievement and long-term academic success were that of concentrating, taking directions and persisting with a task, particularly when it became difficult3. This even outweighed early introduction to mathematical concepts, music and reading. So how do we learn concentration? 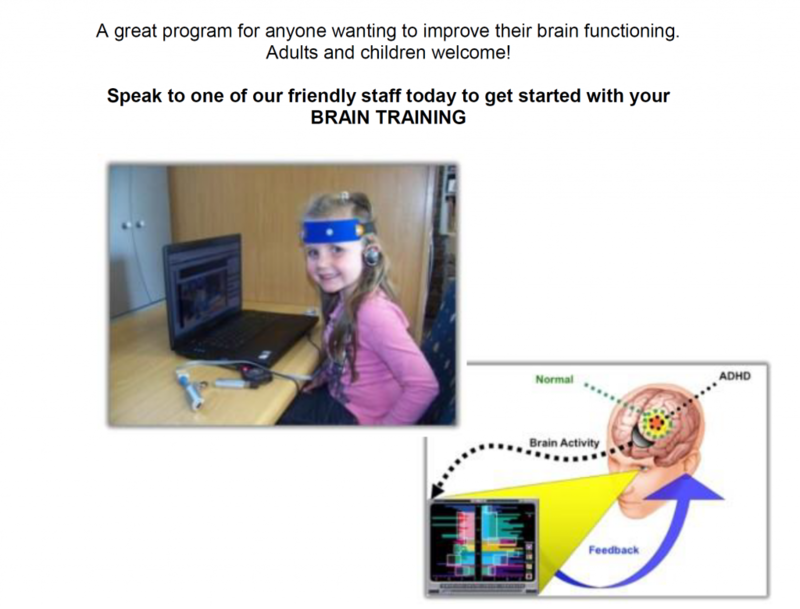 Enter Brain Gain Neurofeedback. A simple, safe method of teaching the brain to focus. 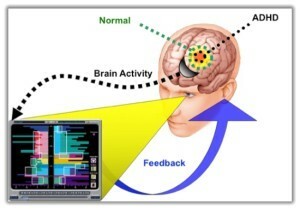 Using the flow of healthy, oxygenated blood to the frontal lobe of the brain while a client participates in a cognitive activity (such as watching a program or playing a game), a feedback mechanism is created which indicates – in real time – how much attention the brain is paying to the task at hand. As long as the client remains focused on the activity, blood flow is naturally maintained or increased (through a clever physiological mechanism known as Neurovascular Coupling4) and the program continues to play. The moment that the client becomes distracted and their attention wanders, activity in the frontal lobe decreases, followed almost instantly by a drop in the blood flow and the program comes to a halt, alerting the client to their loss of focus. Only once they have regained their concentration and restored blood flow, does the program re-start. Worth mentioning here is also the fact that a number of learning, behaviour-related and neurological disorders, including ADHD and many others, are shown by brain scans to have a generally low level of perfusion (oxygenated blood flow) within the frontal lobe5. Without adequate blood flow, those people will struggle to access all the crucial activities controlled in that area of the brain – which might very well manifest as symptoms such as lack of focus, impulsive behaviour, restlessness, inability to follow instructions or complete tasks and so on. Brain Gain works to directly address this issue. The truth is that children of today are bombarded with activities and technology which affect their brains and actually wire them towards distraction, instant gratification and social unawareness6. Add to that various other environmental factors such as being less physically active (video games are not a sport) and a generally poor diet, and it is no wonder that many kids battle in an environment like school which demands sustained attention, focus and ‘socially-acceptable’ behaviour. When do you stop the training? The safest way to approach training is to “overlearn” or “overtrain.” Don’t stop as soon as symptoms begin to resolve. Keep training for at least 5-10 more sessions, for your brain to integrate the changes permanently. Consider reducing the neurofeedback training sessions gradually by going to sessions once a week or once every two weeks. Let’s say you took piano lessons to learn “Mary Had a Little Lamb.” After the 5th lesson, you played it once, perfectly, without any mistakes. And now, you quit – you’ve done it. But 2 years later, you sit down to try and play the song again. Chances are, you struggled. The alternative – you keep taking lessons, practice regularly until what you learned becomes a habit. You will be likely to sit down, 3 years from now, or even 10 years from now, and play it pretty well. Neurofeedback works on the same principle. Let’s say you quit neurofeedback right after your symptoms improve. If the symptoms reappear 3 months later, you’ll probably say neurofeedback didn’t work. But neurofeedback is fundamentally learning. Don’t quit until you’ve overlearned. For maximum return on investment repeated practice is needed – for your brain to integrate the changes permanently. 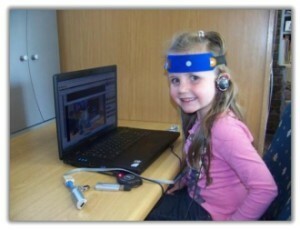 Neurofeedback has been used for over 30 years clinically, with hundreds of thousands of training sessions. There are no known situations where a long-term, adverse effects have been identified. To our knowledge, there has never been a lawsuit for adverse effects from neurofeedback training. It is a physiological process, there are some clients that do complain of a simple head ache, which is natural, seeing that you are forced for a certain time to concentrate intensely. Should you notice change in the first session? Or by the fifth? What’s realistic? Often clients report significant changes in the first 2-3 sessions. However, that’s not always the case. Many experienced clinicians feel the client may not note any changes until after 3 to 5 sessions. Others feel it can take up to 10 sessions. In part, it depends upon the kind of improvements being tracked. On occasion, it can take longer than 10 sessions to note any signs of change. In a case like that, the client and clinician should discuss progress very closely. NOTE: The entire training protocol – as suggested in the TESCA report – should be completed for the changes to hold. What changes are you likely to notice first? Some people may start to notice changes for mood, attention, anger, or pain relatively quickly – within 5-10 sessions. For others, it could take more time. It usually takes longer for obsessive thinking, impulsivity, and oppositional behaviour to respond to brain training. When brain damage or neurological issues are evident, it can take longer for a candidate to respond, no matter what the symptoms are. If you send someone to the gym, how long will it take for that person to get into shape? How long before he or she notices a change? The answer varies widely. Neurofeedback is literally brain exercise. How long it takes for the brain to become better regulated can vary widely. Every clinician who uses neurofeedback has heard comments from candidates about how much their life has changed. However, from time to time clients struggle to notice changes – the kind of subtle and not-so-subtle change that occurs after training. A woman struggled with migraines for 20 years. After the 20th neurofeedback session, she was asked to assess whether there was any change. She said it helped “maybe a little.” When the clinician reviewed the original intake, the woman reported 2-3 migraines a week, lasting 4-6 hours at a time. After 20 sessions, she reported upon questioning that she now had one migraine a week lasting 2-3 hours and with less intensity. Was she making progress? After discussion, she realized she was. Parents brought their 8-year-old with ADD for training. At 20 sessions, they were unhappy with progress. They said he’s not minding us at home. He’s not making better grades. This was a child who couldn’t sit in a session for more than 5 minutes initially. He had built up to sitting quietly for 25 minutes through a whole training session (kind of amazing). The parents admitted after discussion that the daily calls from school had been reduced. But they were obviously anxious for faster progress. Sometimes progress is rapid, but it more usually comes one step at a time. You can’t always pick the order of improvement. Grades and home behaviour hadn’t changed yet. The parents may have compounded the problem. Their style for encouraging better behavior at home was not consistent. The changes that we saw didn’t seem that important to them. Neurofeedback is NOT an instant fix. The brain takes times to develop. Why these examples? It’s difficult for many people to notice change in themselves. The absence of a symptom is hard to note. This woman with migraines knew she was still having them. She hadn’t yet identified the overall change happening until it was pointed out. Trainers often say candidates don’t attribute change to the neurofeedback. They hear parents report that in the last 2-3 months, their child has matured greatly. Yet for years, other modalities may have never come close to that level of impact. All of a sudden, when those modalities start to work, parents and clients don’t see the connection. Trainers do, which is why they continue to expand the use of this tool. Other modalities do seem to start working better after the brain is working better. Therapists have seen it occur with so many children and adults, that it’s clear that neurofeedback greatly accelerates the process. Because the changes happen over several months, it can be hard for many people to attribute the changes to the brain training, so they attribute it to other non-relevant factors. All experienced trainers, some who’ve worked with the same clients for years, report that neurofeedback accelerates change, and that they see changes in clients that never occurred before they added neurofeedback. Their challenge, at times, is to convince the client that the neurofeedback is playing one of the biggest roles. Part of the challenge is that most of us don’t typically connect the brain with our behaviours, thoughts, and emotions. When the brain works better, those things start to improve. But how could just playing a computer game have that impact? Good clinicians help clients understand by educating them about the role of their brain. How long do the effects of neurofeedback training last? For the neurofeedback training effect to last, therapists report there has to be “enough training.” This tends to mean overlearning or overtraining. In simple terms, you should train up to 5 to 10 sessions after you’ve seen the major symptoms improve. If you quit before symptoms have stabilized, it’s more likely the effects won’t stick. Dr. Joel Lubar at the University of Tennessee and a few others have done long-term follow-up on clients. Dr. Lubar says they’ve followed ADD clients who’ve sustained their improvements from neurofeedback for 10-20 years. Published research on epilepsy 12 months after brain training shows the effects on epilepsy usually holds. Clinicians commonly report long-lasting changes. However, much more research in this area still needs to be performed. Certain individuals may experience a relapse of symptoms. The trigger could be an injury, trauma, extreme stress, or other major life event. Underlying neurological issues or genetic vulnerabilities may also be factors. Many clients’ results hold, and they seem not to need “maintenance” sessions. For others, ongoing brain training may be appropriate. Once someone has had intensive training, those who need “maintenance” often require only a few sessions to get them back on track. Certain problems, such as brain injury, autism, Tourette’s, cerebral palsy, or other neurological problems, may require long-term, ongoing treatment to maintain improvements. For degenerative problems, including Multiple Sclerosis, Parkinson’s, or Alzheimer’s, reports suggest neurofeedback helps stabilize function, slow the process, or may help optimize brain function with whatever resources still exist. It’s more “quality of life” training than an attempt to remediate the problem. Improved quality-of-life can significantly benefit the client. Do symptoms ever get worse with neurofeedback training? Neurofeedback can produce a positive effect relatively rapidly. For example, one could sleep better or feel more alert or calm in a few sessions – or even from the first session. Is it reasonable that something this powerful could sometimes make symptoms worse? No clinician has reported symptoms getting worse over the long-term using neurofeedback. When you train the brain, the brain seems to work towards homeostasis. This tends to move symptoms towards normality, regardless of the training effect. Just as you may notice an effect from doing an exercise that works muscles you’re not used to using, a similar pattern can take place when training the brain. Most clinicians monitor feedback from the client about the response to training. Adjustments can be made as needed. Often, adjustments are made because no training effect is noticed, and a stronger effect is desired. Also, the more training you do with someone, the more subtle the training effects become. If there are short-term effects, the brain may adapt on its own. Often, the brain is just exercising in a way it’s not used to, so there needs to be time to let the brain adjust to the exercise. By far, most changes reported by clients are positive. However, when any change is noticed, it tells you that the person is responding to training. That’s a very good thing. The most difficult clients are ones who report no change at all. Reported changes help provide important clues as to how to adjust the training for an individual, no matter what kind of change. Often, the changes a client reports aren’t related to the neurofeedback training at all. The clinician can help sort this out, but at times that is challenging, since not all clients are good at reporting. Some brains are more sensitive than others to training. 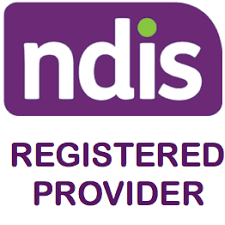 Brain Gain – Making a difference in Australia, one person at a time.